I suppose a good way to describe myself would be: “a Tumblr junkie.” While I consistently use Facebook and Twitter, it seems as though Tumblr, for the past year, has served as an escape of sorts within the realm of social media. With that said, did you know it may benefit you, as a writer? You may simply be a blogger who enjoys writing about their favorite television shows on their off time. Others may be driven to release their own novels. Whatever the case may be, if you’re going to make the most out of Tumblr, as not only a social media vehicle but a writing platform as well, here are 5 Tumblr tips for writers you should never forget. 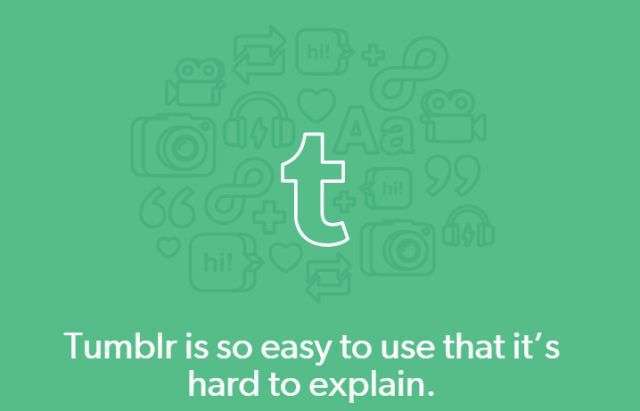 The more that you use Tumblr, the more that you’ll see just how broad its audience is. If you believe that a potential sentence stands the chance of rubbing readers the wrong way, word it differently. This isn’t to say that your creative freedom should be stifled, though. Words can impact people in different ways, so being mindful of your vernacular will help you, as a writer, on Tumblr. Specifically, try to keep your Tumblr posts to reasonable lengths. Just like any social media platform, immediacy is going to be a crucial factor on Tumblr. At the most, depending on the subject you’re writing about, 1,000 words or so should be the limit. While it’s okay to go over by a few words, a habit shouldn’t be made of this. Stick to this and the likelihood of building an audience will be that much greater. Unless you have a healthy amount of followers, your written works may not gain much traction. For this reason, it’s important to understand hashtags and how they can be best implemented. In order for your work to be reblogged and liked, utilize relevant hashtags. Keep the number of these reasonable and your written work will benefit. One of the best features of Tumblr is the ability to make your blog all of your own. Personalization, whether it’s a matter of unique visuals or not, is essential. You do not want your blog to look the same as everyone else’s. However, before you settle on a certain theme, make sure that it is customized in a way that it complements written work more than anything else. Seeing as how Tumblr themes are categorized, finding the perfect one shouldn’t be an issue. If there’s one thing that can be said about Tumblr, it’s that it never stops. The site updates on a continual basis, so engagement will be noted by any online marketing firm. As you’ll learn, though, this can be enjoyable. There is so much to see and get involved in, even if the material isn’t related to writing. To truly benefit from Tumblr, never forget that it is meant to be fun as well. Do you have some other Tumblr tips for writers that you want to share with us? Please add your comment below.